The latest installment from my Indiespensable subscription and I couldn’t wait to start! A husband and wife move to the land between the lake and the woods to start their own life, across the lake from the city where they were raised. There they build their home and wish to build a family, but multiple failed pregnancies chips away at their hope, their marriage, and their sanity. That alone makes for an interesting concept for a book, but this one is wrapped in fable, a fairy tale, a fantasy world, and a nightmare. I really wanted to love this book. I have thoroughly enjoyed each of my previous Indiespensable selections and had no reason to believe this experience would be any different. I know that this novel has received a great deal of critical acclaim. The writing style is certainly beautiful, lyrical, haunting. But, for me, the story is just too strange and unreal to truly enjoy. I understand fiction and fantasy involve the strange and unreal at times, but this just went too far for me, and when combined with the writing style, made the book seem overdone, too long, and frankly, painful. I don’t think I have ever given up on a book, but I was really tempted. I did finish, hoping that it would come around to something that touched me, but it just never got there. So this week’s challenge was to list the top ten most memorable secondary characters. Those characters in novels that were not the main focus, but that captured your imagination, made you want to see more of them. Some of mine come from the same series of books, series that have wonderful casts of characters, which is part of what makes those series great. Rudy – Liesel’s dearest friend in The Book Thief. He is sweet and awkward, funny and brave. Everything a first love and a best friend should be. Neville Longbottom – Who doesn’t love this dorky and awkward wizard from the Harry Potter series? Especially when he finds it in himself to become a courageous hero. Professor Snape – The poor misunderstood and heartbroken seeming-villain of the Harry Potter series who is ultimately proven to be a hero. Professor McGonagall – Another character from the Harry Potter series – tough, brave, smart, kind, and caring she really should have been the headmaster long ago! Foaly – The geeky, arrogant, but utterly cool and brilliant centaur in the Artemis Fowl series. Holly Short – The tough, determined elf police woman from the Artemis Fowl series. Her relationship with Artemis is humorous, difficult, and touching. Hassan Harbish – The funny, smart, witty sidekick in An Abundance of Katherines always made me laugh. LuLu – How to describe LuLu? This ex-prostitute who squeezes into spandex, eats lots of fried chicken and donuts, and manages to nearly kill everyone she tries to help is a laugh a minute in the Stephanie Plum series. Hawk – I adore this funny, smart, tough, will-do-anything pal to Spenser in the series by Robert B. Parker. You know he always has Spenser’s back and their relationship is both hilarious and touching. Cokie – The mulatto driver for the madam in Ruta Sepetys’s Out of the Easy is ultimately the one who is there for Josie. His constancy and his humbleness while doing what is right make him one of my favorites. Noa P. Singleton is on death row for shooting Sarah Dixon, a young pregnant woman. Six months before her scheduled execution, Sarah’s mother, an attorney, Marlene Dixon shows up to tell Noa that she has started M.A.D (Mothers Against Death) and that she wants to petition the governor to grant Noa clemency. What she really wants is to hear Noa’s story, a story that Noa has never told to anyone, not during her trial or her incarceration. There were moments of beautiful and wrenching writing, but there were just as many times where the writing was awkward or it felt as the author used ten-dollar words just to prove she knew them. Unfortunately, most of the main characters are often annoyingly pathetic – Noa, her father, Marlene, even Sarah in her brief appearances. The only character that might be consistently likable is Ollie, Marlene’s assistant attorney, and even he disappoints in the end. It is a story full of guilt and remorse, for all parties involved, that goes back and forth in time between the present and Noa’s past, as well as alternating between Noa’s story and Marlene’s as told through letters she writes to her dead daughter. This does not confuse the story, although I admit to getting bored by it about half way through. The story grabbed me again, but ultimately disappointed in the end. I do not need, nor did I necessarily expect, everything to get tidied up neatly, but it seemed like nothing was really resolved and what was revealed was not startling, just sad. 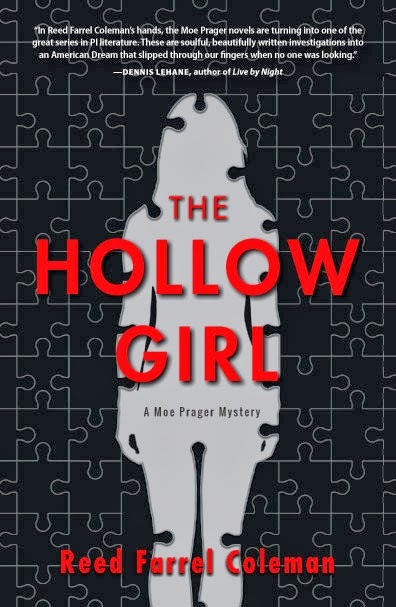 I really wanted to like this novel, there was a lot of positive buzz around it, but much like Gone Girl, I didn’t think it lived up to the hype. That’s not to say that I didn’t like it, it was OK, it just didn’t grab me and leave me wanting more. MY HUSBAND!!! Without his support and understanding of my bibliophile ways, none of this would be possible. MY KIDS!! My kids keep me young and keep me interested in new titles and genres that I might not otherwise be drawn to. My son picked up The Hunger Games first… And my daughter got me to read the Divergent series… Our story times together at night also give me a chance to try out new children and young adult books and get reactions from a different audience. Other bloggers. I love to see what others are doing, what they are reading – there is so much out there to learn from. Goodreads and Shelfari. I use both of these to track what I’m reading (only Shelfari has everything I’m reading – GoodReads just has what I have reviewed) and to look up information about a book that I may have forgotten by the time I write about it… What was that character’s name again?? Audio books. These make blogging easier because they allow me to experience some of my favorite series when I don’t have the time to read them all! That leaves me time to actually read the stuff I want to blog about! The gift of being a fast reader. Luckily, I’ve always been a fast reader. If not, there would be no way I could get through as much of my to-read list as I do (and the list never gets shorter!). ARCs. Whether hard copy (my preference) or e-book, it is always great to get a chance to get ahead of the curve and read and review something early. It’s also a great way to try out new authors, genres, or series without making a commitment! WordPress. I know how to code in HTML and have developed websites before, but WordPress definitely makes it easier to get my blog out there, connect with other bloggers, and even keep on top of my blog via my phone. Email lists. OK, I get way too much email, but there are great lists out there that keep me in touch with what is coming soon, what is receiving good reviews, etc. When I started reading some light summer “beach books” there were some noticeable trends. Earlier, I wrote a post about those that focused on weddings and romance (Summer Wedding Reads), but then I hit a couple that focused on the opposite – divorce and the ending of marriage. Of course, that doesn’t mean that the happy endings went away…. Successful blogger and lifestyle star Grace Stanton catches her husband cheating on her with her assistant and promptly drives his expensive sports car into their swimming pool. She finds herself locked out of her palatial home, her bank accounts, and even her blog, forcing her to move in with her widowed mother above her rundown bar. To make matters worse, the judge forces her to attend divorce counseling with an unstable counselor. When the counselor’s behavior becomes increasingly odd, Grace and the other members of the group head to her mother’s bar for their own “therapy” sessions. While they spend time together in the bar, they begin to help each other with their betrayals and Grace begins to develop a relationship with Wyatt, the one lone male in the group (who didn’t see that coming?!). It took me awhile, but I did like Grace once she got past being a spineless spoiled brat. Her efforts to renovate a house and her relationship with her mother were entertaining. The relationship with Wyatt, while too soon and unrealistic, was still sweet. Her career as a blogger and multimedia celebrity was timely and interesting. However, I simply could not connect with the other members of her therapy group. Their personalities were not well formed (other than their vengeful acts which would have landed most people in jail) and the connections did not feel real. The mystery surrounding the divorce counselor seemed oddly thrown in and really didn’t add anything to the story. Overall, it was a quick beach read, not awful, but not amazing. Leslie Carter is the last original wife. All of her husband’s friends have moved on to newer (and much younger) models than the original. No longer are evenings at the club an enjoyable time to catch up with her old friends, now she just sits back in horror at the new wives and their antics, feeling old and out of place. To make matters worse, she recently had an accident while in Ireland. Not only did Wes (her husband), not realize she was missing for some time, he then left her in a hospital with a concussion and broken bones. Why? He had a tee time to make! Throw in a couple of rotten kids, using their parents as babysitters and as a bank, and Leslie has had enough! Throwing a few things into a suitcase she heads to spend some time with her brother at his home in Charleston. While in Charleston, she reconnects with a high school sweetheart, but does not use him as the solution to her problems, instead taking the time to focus on herself. Wes is not evil, just oblivious and incredibly self-absorbed. Leslie and Wes embark on therapy, giving us a look into the inner thoughts of each, and there are moments where Wes is almost likable, but what he wants most is for things to go back to the way they were and what Leslie needs most is for them to change. Overall, it was a quick and enjoyable read, not as much of a southern flavor as in her previous novels, but still enough to add charm. Her interactions with her family once she got tough were entertaining; the whole lot of them seemed entirely clueless. I loved her relationship with her brother and her journey to self-awareness, although I never found the old beau entirely convincing.